This Short wheelbase Kombi has a DSG (auto) Gearbox, with low miles and one owner. This Kombi is a HIGHLINE and comes in Mojave Beige. 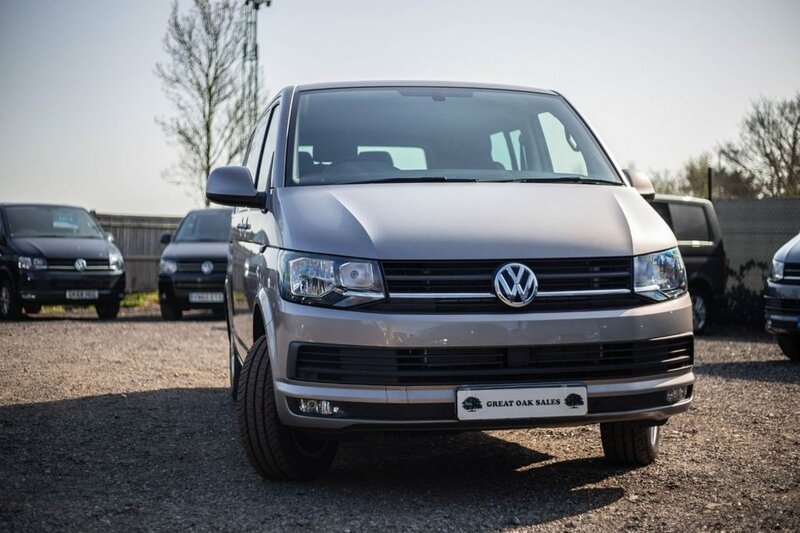 It comes with a HUGE specification: Comfort Dash, Sat Nav (Discovery Media) , Electric Folding Mirrors, Cab Carpet, Twin Sliding Doors with Soft Close Finish, 2+1 Split Rear Seats, Front and Rear Parking Sensors and Rear Parking Camera. Do you have questions about this vehicle, give us a call if you do! 01932 765909.